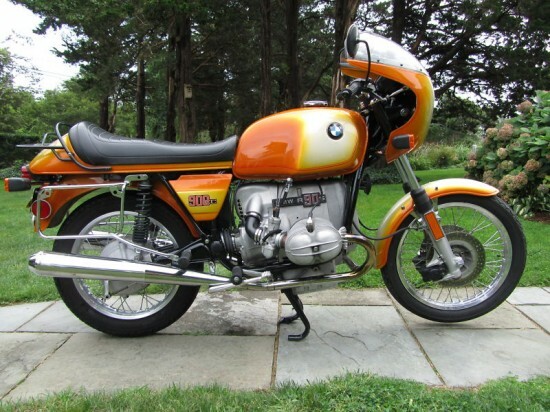 This 1975 BMW R90S, in the iconic Daytona Orange, is one of the many bikes that claim to be the first Super Bike. But what the BMW has over other super bikes is that it actually won the first Super Bike Championship, the AMA championship in 1976. Reg Pridmore beat out bikes from Kawasaki, Suzuki who later laid claim to Super Bike status. Excellent numbers matching fully restored R90s. See attached photo list for full details. Professionally serviced annually and starts, runs and rides flawlessly. I ride it at least weekly so the mileage will increase. Clear title in my name in hand. Sold as is and where is. 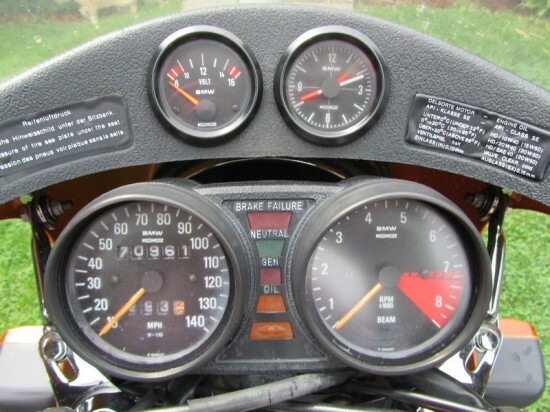 Please ask questions and come inspect the motorcycle if you can. I have all restoration receipts and can scan and send them to serious bidders. 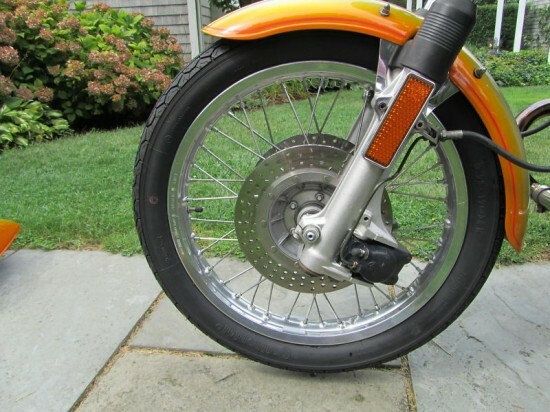 Sold with all items shown….Forgot to note that I installed a Brown side stand installed along with the factory side and center stand. 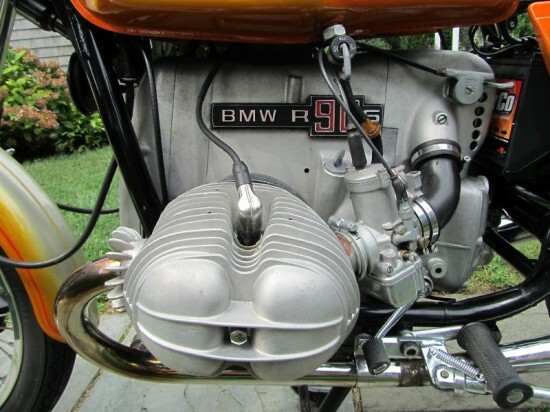 First offered in 1973 the type 247 engine was an evolution of the same layout BMW has used since before their first motorcycle in 1923. 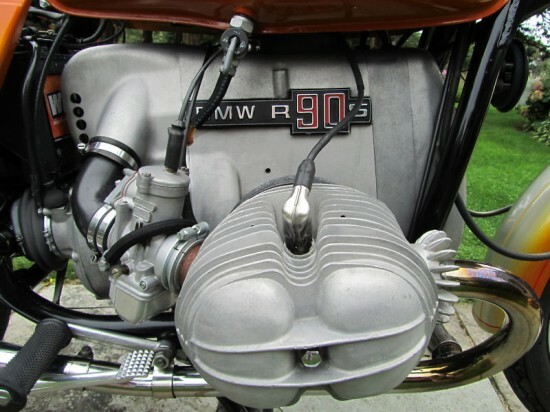 From the factory it generated 67hp from its 38mm Dell’orto fed, 898cc boxer engine. This power driving its shaft drive, turned the rear drive to a very respectable 120mph. This was achieved by protecting the rider behind a very distinct “bikini fairing”.